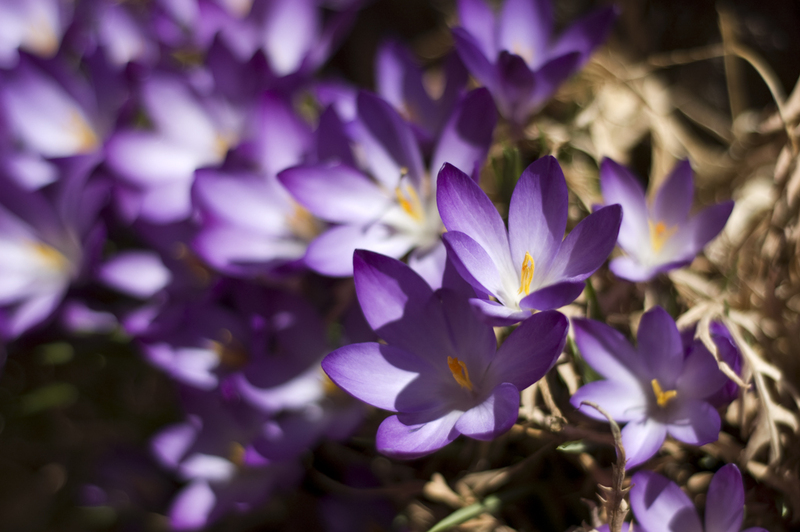 Last week I had a couple of crocuses pop up, but when we got home from the hospital they were all in bloom. I'm thankful for the volunteers because I probably won't be doing much gardening this spring! Daffodils are almost ready to bloom too! And yes, I have lots of baby pictures... but it's easier to edit one than one hundred!